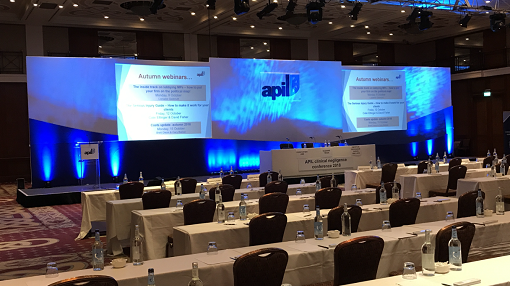 Stage set and all audio visual equipment, along with technical support for the Association of Personal Injury Lawyers Conference at Celtic Manor. Having worked on many hundred successful conferences, an impressive stage set is nearly as important as the content being projected onto it. Our in-house stage set designer will create stunning stage sets carefully designed to use your conference space to the maximum efficiency. 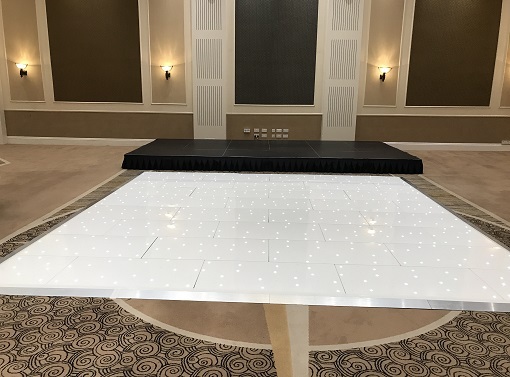 Our lighting designer will then take over and make the stage set look even more fantastic, with different lighting moods depending on the type of presentation. We do stock a range of ‘off the shelf’ stage sets too if you are working to tight budgets.